The Leveson Inquiry has exposed some of the best and worst journalistic practices. In the process it has cast new light on an old problem: how best to protect the public against serious criminality, whilst also safeguarding genuine investigative journalism? The real danger is that, in the wake of Leveson, the baby may be thrown out with the bathwater. Lord Justice Leveson will undoubtedly (and rightly) emphasise that the press is not above the law. But it is equally important to recognise that the media does require special protection in order to safeguard serious newsgathering. In particular, there is a pressing need for a general public interest defence to offences which are relevant to the media – even if the vast majority of conduct which is under consideration by Leveson does not come within striking distance of any public interest defence. Despite the plethora of offences that apply to the media, there is no overarching public interest defence in English law. Supporters of the status quo claim legitimate journalists have nothing to fear – the stringency of the criminal law is tempered by prosecutorial discretion not to bring a criminal case against a journalist in appropriate situations. The Director of Public Prosecutions recently published guidelines and an accompanying consultation detailing how the discretion operates in cases affecting the press. The guidelines are a welcome recognition that special considerations apply in media cases. But they fail to provide the level of predictability or certainty that investigative journalism deserves and needs from the law in order that it can operate freely and thereby reveal truths which may have been very well concealed. Of course, no-one can expect complete certainty in advance but journalists need clear boundaries so that they make decisions about how far they can or should go in a given case – prosecutorial guidance is poor substitute for a substantive defence. Serious journalism occasionally operates at the margins of the law. In some cases journalistic subterfuge is necessary and justified in order to uncover serious wrongdoing. At present, the law offers little protection to reporters who use such techniques in pursuit of public interest stories. The following examples, none of which contains any statutory public interest defence, demonstrate the potential for injustice. Under the Regulation of Investigatory Powers Act 2000 voicemail and email hacking is illegal no matter how small the intrusion or how large the wrongdoing exposed. Hacking the voicemail of a murdered schoolgirl or a victim of the 7 July suicide bombings cannot conceivably engage the public interest. But what about hacking a corporate email in order to reveal corruption at the heart of government? The well respected investigative journalist David Leigh (who helped break the phone hacking story) himself has admitted phone hacking. Similarly, the Computer Misuse Act 1990 prohibits unauthorised access to a computer for the purpose of obtaining data. A reporter who hacks a celebrity’s laptop for evidence of a sexual affair obviously commits an offence. But so does a journalist who secretly accesses a computer to obtain evidence of abuse at a hospital or children’s home. The practice of “blagging” to obtain private details can amount to a range of fraud offences. However in some cases a minor untruth may expose serious wrongdoing. While obtaining a film star’s private medical records is unlikely to engage the public interest, what about revealing a minister’s secret link to an arms dealer by means of a small white lie? Paying police officers or other public officials with a view to them performing their duties improperly may amount to a range of corruption offences – none of which carries a public interest defence. In 2009 the Daily Telegraph admitted paying a public official £110,000 for a CD containing uncensored details of MPs’ parliamentary expense claims. The new Bribery Act makes it an offence to offer an advantage to someone in order to induce them to perform improperly a “relevant activity or function”. The scope of this expression is very broad, covering a wide range of public, commercial and employment related acts. The only carve-out is one that exempts the intelligence services and armed forces from some bribery offences. So, ironically, when The Sun paid a sum of money in order to reveal conduct that led to the first Bribery Act conviction, the newspaper itself was also presumably caught by the Act. Even if there is no money involved, encouraging leaks from public officials may amount to incitement to misconduct in public office – an offence punishable with life imprisonment. It has been used against individual journalists, such as Sally Murer. Although she managed to demonstrate the investigative techniques used against her were excessive and thereby halted her prosecution, she had no overarching public interest defence. Even the celebrated Pulitzer Prize winning journalists Woodward and Bernstein admitted meeting with a grand juror in their efforts to break the Watergate story. 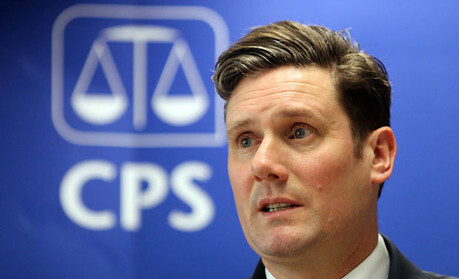 The Official Secrets Acts may also be used against the press – by means of the controversial offence of onward disclosure of material whose publication impedes the detection or prosecution of crime. Somewhat paradoxically, the only criminal offence that is apt to apply to the media and that does include a public interest defence is the relatively minor Data Protection Act offence of obtaining unauthorised access to personal data. At present, the maximum penalty is a fine but a genuine belief that obtaining the data was in the public interest is a complete defence. In April the Director of Public Prosecutions issued Interim guidelines for prosecutors on assessing the public interest in cases affecting the media. The guidelines reflect the approach currently taken by prosecutors when considering whether to charge journalists with criminal offences that they may have committed in the course of their work. A three-month consultation period has opened, following which final guidance will be issued. (3) weigh these two considerations against one another. (a) Conduct which is capable of disclosing that a criminal offence has been committed, is being committed, or is likely to be committed. (b) Conduct which is capable of disclosing that a person has failed, is failing or is likely to fail to comply with any legal obligation to which they are subject. (c) Conduct which is capable of disclosing that a miscarriage of justice has occurred, is occurring or is likely to occur. (d) Conduct which is capable of raising or contributing to an important matter of public debate. (e) Conduct which is capable of showing that anything falling within (a) to (d) is being, or is likely to be, deliberately concealed. The DPP’s guidelines appear to have drawn inspiration from the Public Interest Disclosure Act 1998, which protects employees who make “protected disclosures” of certain types of information. The first three examples in the DPP’s guidance are almost identical to s. 43B(a)-(c) of PIDA. However the fourth example (“conduct which is capable of raising or contributing to an important matter of public debate”) finds no equivalent in the Act. Interestingly, PIDA contains two further categories of “protected disclosure” that are not included in the guidelines: information showing that the health and safety of any individual has been, is being or is likely to be endangered (s. 43B(d)) and information showing that the environment has been, is being or is likely to be damaged (s. 43B(e)). The DPP’s reason for omitting these categories from the guidelines is unclear but was presumably deliberate. So intercepting an email to reveal a cover-up about a leaking nuclear plant, for example, is not something which apparently falls within the current public interest guidance. A key feature of PIDA is the focus upon the “reasonable belief” of the person making the disclosure. By contrast, the DPP’s guidelines make no reference to the journalist’s state of mind. This is potentially very significant. Initially promising leads may turn into dead ends upon further inquiry. As the guidelines currently stand, it is unclear what happens when a journalist acts under the reasonable but mistaken belief that his conduct will reveal important information on a matter of public interest. (a) The impact on the victim(s) of the conduct, including the consequences for the victim. (b) Whether the victim was a minor or in a vulnerable position. (c) The overall loss and damage caused by the conduct. (d) Whether the conduct was repeated or likely to continue. (e) Whether the conduct involved any element of corruption. (f) Whether the conduct involved the use of threats, harassment or intimidation. (g) The impact on any course of justice, for example whether a criminal investigation or proceedings may have been jeopardised. (h) The motivation of the suspect insofar as it can be ascertained. (i) Whether the public interest in question could equally well have been served by some lawful means. In relation to the third stage, the guidelines emphasise that weighing the public interest against the overall criminality “is not an arithmetical exercise”. Each case must be considered on its own merits. Prosecutors must take “special care” in cases that involve journalists’ sources. In particular, they must bear in mind s. 10 of the Contempt of Court Act 1981, which prevents a journalist from being ordered to disclose the identity of their source unless disclosure is necessary in the interests of justice or national security or for the prevention of crime. Although they recognise that special considerations apply in media cases, the DPP’s guidelines are an inadequate safeguard for investigative journalism. First, the guidelines require journalists to second-guess a prosecutor’s subjective assessment based on a set of broad and non-exhaustive criteria. This process is fraught with difficulty and provides none of the predictability and reliability that journalists need from the law. By contrast, a statutory public interest defence would not involve any discretionary assessments. While a degree of uncertainty is inevitable, a substantive defence would enable a body of illustrative case law to accumulate over time. This would help journalists and their lawyers to gauge where the line falls in a particular case. There is no reason in principle why the prosecutorial public interest factors could not become elements of a public interest defence. If whistleblower employees are entitled to that level of statutory certainty, why are investigative journalists denied it? Both are acting with equally honourable motives. Second, there is little scope for challenging the exercise of prosecutorial discretion. Absent bad faith, improper motive or some other exceptional feature, judicial review cannot be brought in respect of a decision to continue or commence a prosecution. The DPP has publicly stated that decisions to prosecute journalists can be “extremely difficult and extremely sensitive”. However in most cases it will be impossible to challenge a prosecutor’s opinion that the overall criminality outweighs the public interest. Third, important information may emerge after a decision to prosecute has been taken. For example, evidence may surface at trial which casts light on the public interest in the journalist’s conduct. In the absence of a public interest defence, that evidence cannot be used by the journalist to avoid a conviction. Fourth, the success of a public interest defence would ultimately be a matter for a jury. The task of weighing the public interest in particular conduct is something that the jury is uniquely well-placed to assess. That it not to shift the whole responsibility from prosecutor to jury: if there were a statutory public interest defence, the prosecutor would still be required to assess the strength of evidence in relation to the defence in deciding whether to prosecute or not. The lack of a general public interest defence is a tangible impediment to serious newsgathering. Investigative journalists need to be sure where they stand in the eyes of the law. They should not have to rely on prosecutorial discretion, no matter how carefully structured or benevolently exercised it is designed to be. The need to protect responsible journalism is well established in the realm of defamation. In Reynolds v Times Newspapers  4 All ER 609 the House of Lords held that the importance of investigative journalism warranted the creation of a public interest “responsible reporting” defence. In reaching this conclusion Lord Nicholls referred to the media’s “vital functions as a bloodhound as well as a watchdog”. The PCC Editor’s Code contains a workable definition of public interest. The Public Interest Disclosure Act and the Data Protection Act both demonstrate the ease of codifying a public interest defence. The Government’s draft defamation bill would elevate the Reynolds defence to a statutory footing. It is high time the criminal law caught up. This is a turbulent time for the media. Amid the focus on past wrongdoing there is a danger of overlooking the invaluable work of investigative journalists. The phone hacking saga has produced many victims. It would be an unfortunate twist if genuine investigative journalism were added to the list. Alex Bailin QC and Edward Craven are barristers at Matrix Chambers. This overlooks what one might call the Stasi factor. If you allow a general public interest defence for investigative journalism, what about the police? Police investigations, if conducted properly, are by definition in the public interest. If journalists are to be allowed to break the law when working in the public interest, you have to give the same privilege to the police. This would mean no more applications to the home secretary for a warrant to tap someone’s phone. The police could just do it because they felt like it. This is what the Stasi did. And investigations which revealed nothing would never be known about. There is an overwhelming case for a general public interest defence for whistleblowers. Someone in possession of information which the public needs to know should have a defence even under the Official Secrets Acts. This is rational if the public interest in disclosure is greater than the public interest in secrecy. But a general licence for investigators to break the law provided they believe they are acting in the public interest would be completely different. It would leave us with the kind of society they had in the old East Germany. Perhaps a little more thought is needed? The quoted type of conduct would have to deliberately excluded, if the difference with PIDA is intended like that, I would conclude by looking at the guidelines. This particular clause 31(d) might include a wide array of conduct, as it seems now. Possibly, is there a stronger connection with PIDA, than I conclude here?